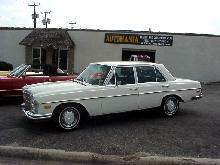 The first "S-class" Mercedes arrived in 1968, the 280S and 280SE. 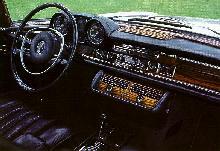 The 280 saloons were large, full size saloons which offered comfort and luxury to its five occupants. 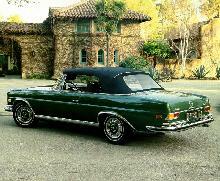 In addition to the Saloon both Coupe and Cabriolet versions were also available. 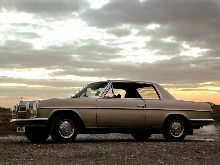 The Coupe featured an elegant fixed-head roof with pillar-less side windows. Powered by a new 2.8 litre six cylinder engine both models offered good performance and plenty of refinement. 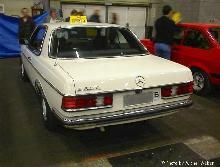 The 280SE had a more powerful engine which produced 160bhp. 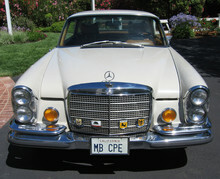 The 280SE remained in production until 1972.